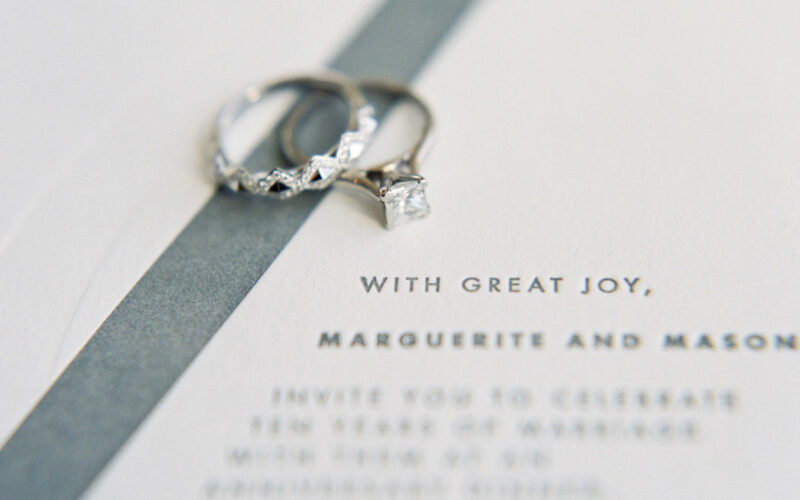 You don’t have to send out printed wedding invitations. And the collective world of stationers just lost their minds. I don’t know if you’re aware, but stationers are a strange lot. They live and die by Emily Post and Pantone’s color of the year. I live by a different code. And I believe the spirit of the rules is far more important than the rules themselves. Etiquette is about treating people with consideration, respect, and honesty—attitudes that will help you to set the tone for the perfect day. When is it OK to not send invitations? We all get junk mail. Maybe less today than we did five years ago, but we all get it. If what you’re planning to send could barely be differentiated from your local consignment store’s grand opening invitation, you might be better off sending a digital wedding invitation. If you just don’t care about paper (Gah! I really don’t get it, but I get it), you should consider putting the $400 or $1000 you were going to begrudgingly spend on invitations into something that improves your guests’ experience. Use it to make your big day even more inviting. That’s treating people with consideration! Honestly, if your guestlist consists entirely of millennials and xennials, there’s a chance you won’t even get your stamped, printed RSVPs back. It breaks my heart, it really does, but it’s the truth. On the other hand, if you’re inviting aunts and uncles and your parents’ colleagues, I’d argue that you’re breaking the spirit of the rule. I think we’re definitely trending to a place where it’s acceptable to send a digital wedding invitation. I’ll bet within ten years (maybe that’s optimistic), Emily Post(‘s descendants) will agree. Seriously. Send them at the right time (too early and they might lose excitement, too late and it’s not enough notice). Communicate clearly. Don’t leave your guests guessing about things. Don’t send another piece of junk mail. Invest the money and time to make something that delights your guests. If they can’t tell it’s yours before they read the names, you missed your chance. The same is true of the wedding itself. You are a unique and wonderful couple. Everything about your big day, including the stationery, should shout that! Of course, I hope you send real, unique, authentically-you invitations. But I don’t think it’s for everyone and I won’t throw you any shade if you determine it’s not for you. Know the rules and when to break them.